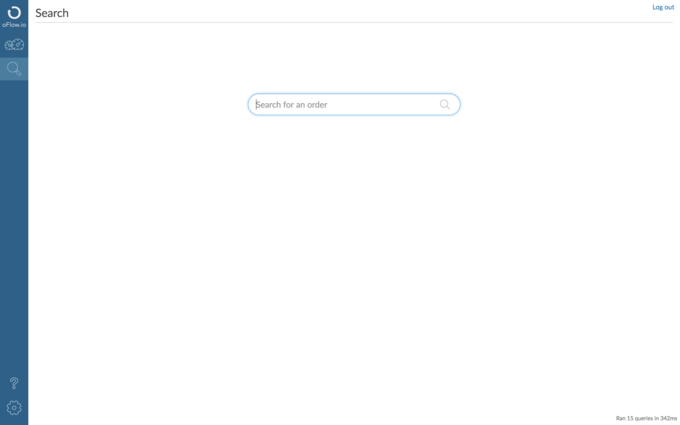 Connect your Linnworks customer and order database to Freshdesk and help your support team answer tickets smarter and faster. 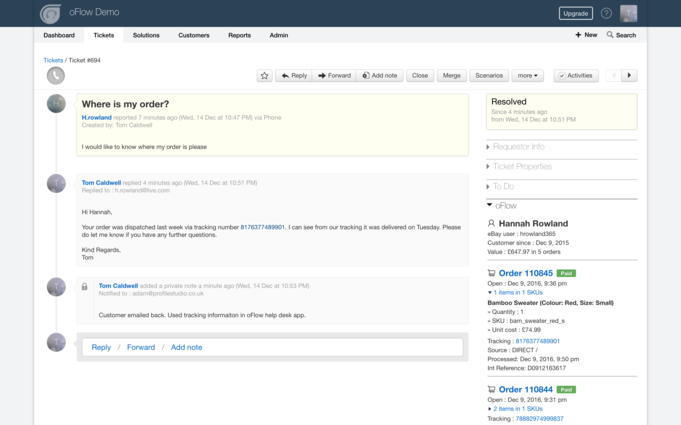 Add customer order history to your Freshdesk side bar, with direct marketplace links, tracking information and more. oFlow.io connects Linnworks to your help desk, easing the pain of common tasks such as finding orders, tracking parcels & processing refunds. 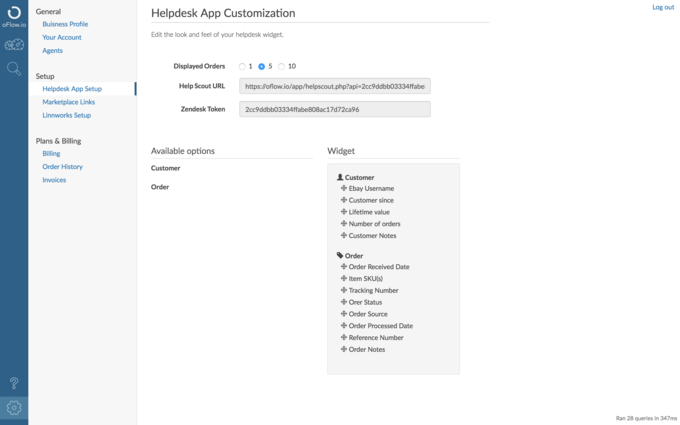 A customisable help desk app provides your customers order history directly in the sidebar with added features such as tracking updates & marketplace links. 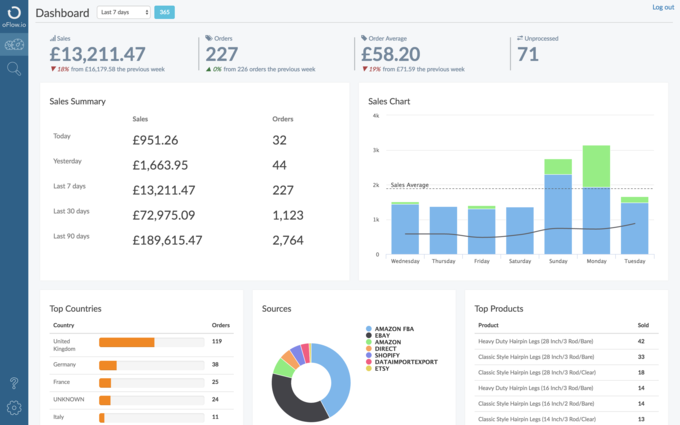 Click through to the main oFlow.io site and view full order details and customer notes, an instant search tool, mobile friendly sales dashboard and more. 1. Goto oFlow.io and sign up for a free trial. 2. Connect you Linnworks account. 3. Install the oFlow Freshdesk app. 4. Use the API key found on the helpdesk App setup page when installing. Please note: Sync to your Linnworks database may take up to 48 hours.